Candor TechSpace in association with The Earth Saviours Foundation initiated a ‘Do Not Honk’ campaign in its Gurugram and Noida campuses. 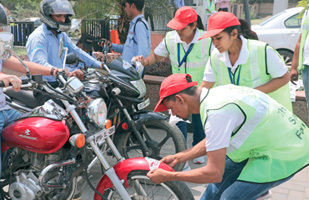 The objective was to sensitise drivers and riders about the ill-effects of honking. Drive or ride through a traffic congested street in India and you are sure to encounter a health hazard—the sound of blaring horns, which add to noise pollution and possibly lead to hearing loss. Additionally, honking charges up the emotions of everyone else on the road, causing a potential rise in aggressive, unsafe driving. From 9th-24th May 2018, Candor TechSpace took a stand against honking and extended its support to The Earth Saviours Foundation’s ‘Do Not Honk’ campaign. 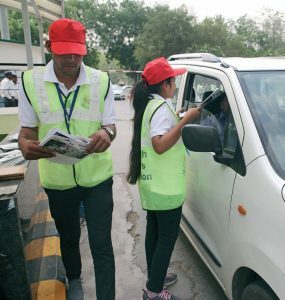 As a part of this drive, Candor reached out to occupiers and their employees across its campuses in Gurugram and Noida, asking them to not honk unnecessarily or otherwise, thereby helping control noise pollution. 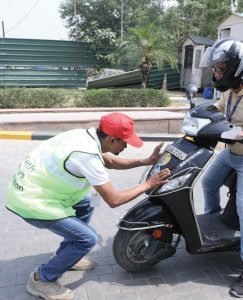 The campaign saw volunteers from The Earth Saviours Foundation pasting ‘Do Not Honk’ stickers on cars and two-wheelers passing through the campuses. Boards with slogans based on ‘Do Not Honk’ were displayed. Volunteers also used mikes and speakers to spread awareness about the harmful effects of vehicular honking. Interactions with people were conducted through speeches and debates. Ravi Kalra, the founder of The Earth Saviours Foundation and popularly known as the ‘No Honking Man of India’, was also present to help volunteers spread the word further. He interacted with employees working in the campuses and presented them with awards and certificates of appreciation for lending their support to the drive. The Candor TechSpace team also participated in this initiative and offered a helping hand to volunteers. During the drive, around 69,000 people pledged to ‘Say No’ to honking. 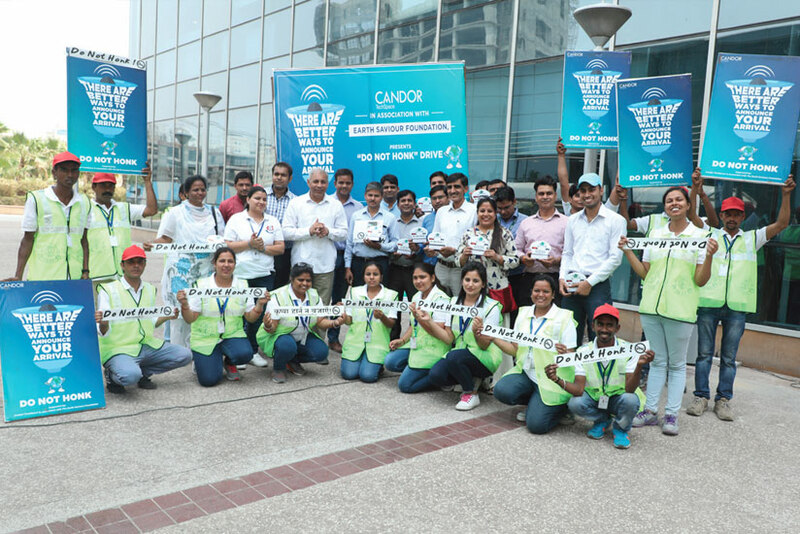 Ravi Kalra says, “The event turned out to be a big success due to our 100 diligent volunteers from Candor’s campuses and The Earth Saviours Foundation.” At Candor TechSpace, we are positive that this initiative will make our occupiers and their employees across our Gurugram and Noida campuses think twice before honking in the future. Come, take a stand with us today and spread the word to lay off the horn!